When J was 4 1/2 months we started him on solid foods. I think I was supposed to wait till 5 months, but my Baby Bullet had been burning a whole in my cabinet for months already and I couldn’t wait to try it out. I started pretty basic – carrots, sweet potato, peas, pears. We tried peaches but they weren’t a favorite, and banana’s seemed to make him constipated. I don’t really remember why I wanted to make my own baby food as opposed to store-bought. I had no problems with feeding him store-bought food, and we are not a family that focuses on purely organic or natural foods. Honestly I think it had more to do with saving money than specifically wanting him to only have pure foods. Besides, the store-bought baby foods seem to be much more “pure” than I once thought they were, most of them seem to be just veggie/fruit and water plus some citric acid. I did the math and it was going to cost $0.50 to $1.00 for each package of store-bought food per meal. You figure 3-5 meals a day depending on the kiddo and how much you are still breastfeeding/formula plus an increase in intake as they get older….that’s $1.50 to $5.00 PER DAY…up to $150.00 per MONTH…which is way more than that per YEAR. Whoa…kind of made me queasy to think of how much money to feed one little mouth. 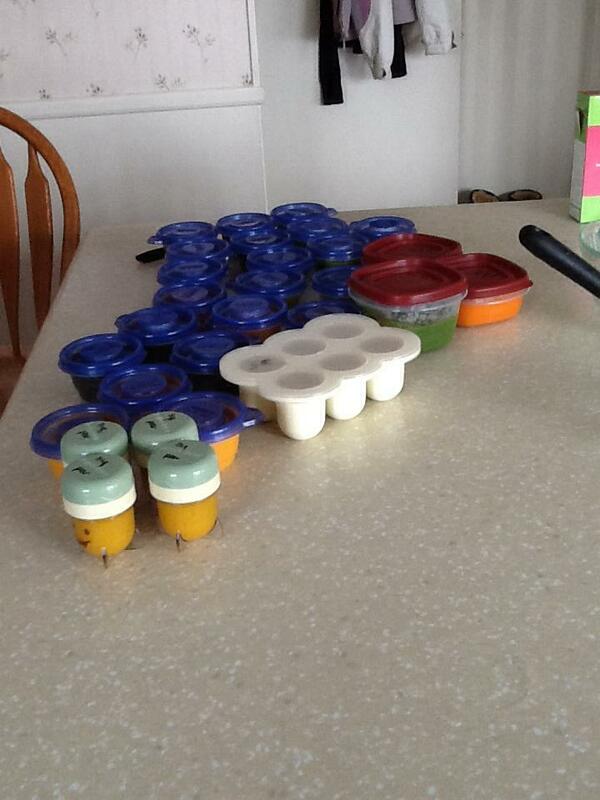 BUT then I did the math for making all (or 90%) of my own baby food. HUGE huge huge difference. I discovered that shopping the sales was also a big help, Costco had some fruits/veggies for cheaper too (For example – Costco has a large bag of 10+/- pears for $4.99. Kings and Safeway charge $.79 each on sale. You do have to cook them all at once though otherwise it’s hard to get through them before they go bad.) and Sprouts became my new weekly shopping stop for baby food supplies – they have the BEST prices on produce at all times (seriously, no joke.). 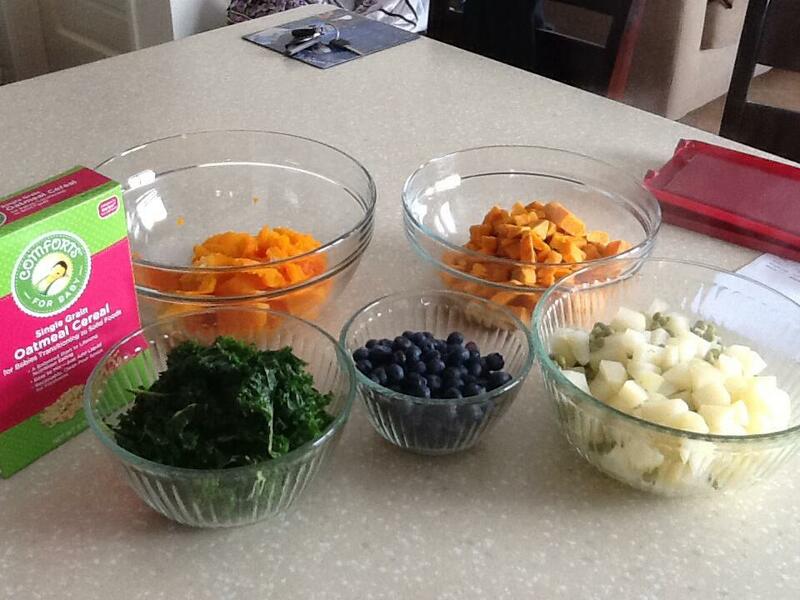 On average I would spend about $5.00-$7.00 for 7 to 10 days of baby food – that’s 3-4 meals a day. 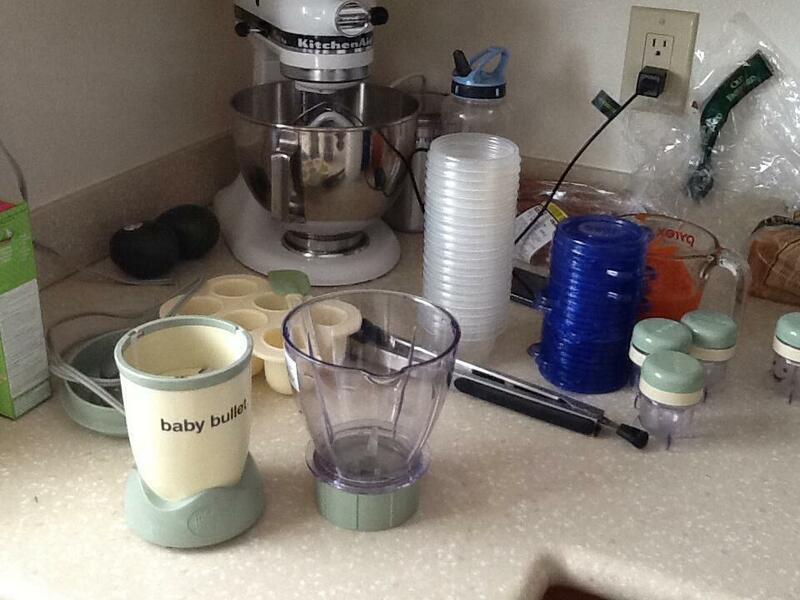 I used my Baby bullet a lot in the beginning, but once the batches started to get larger, my blender worked just as well. That’s 40 servings – pretty friggen awesome for $10.00 right!? Plus J ate better than we did every day…although it does make it easier to eat better yourself when you have to have all those fresh veggies and fruits in your house on a regular basis! Even though now J is eating most of what we eat now days, I still have 1-2 meals a day for him as straight blended fruit or veggie. Also, I’m not downplaying the convenience of store-bought and pre-packaged baby foods in any way. The simplicity of them makes life way easier at times. I have a good stock of the food pouches (Happy Family, Mom to Mom, etc.) in my cabinet at all times for when I’m not otherwise prepared, or when we are out of the house. They are a lifesaver.